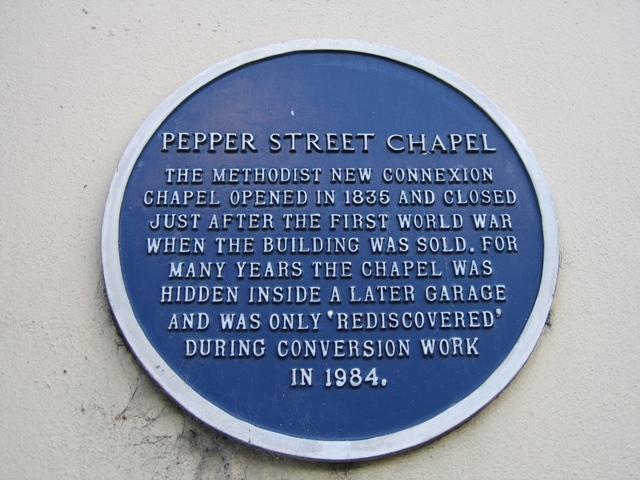 Pepper Street Chapel. The Methodist New Connexion Chapel opened in 1835 and closed just after the First World War when the building was sold. For many years the chapel was hidden inside a later garage and was only 'rediscovered' during conversion work in 1984.